Jessica and Charlie's wedding day had been in the works for exactly a year. But if that wasn't enough to make their lives a bit crazy, they decided to do school full time, work full time, AND buy a house two months before their wedding! 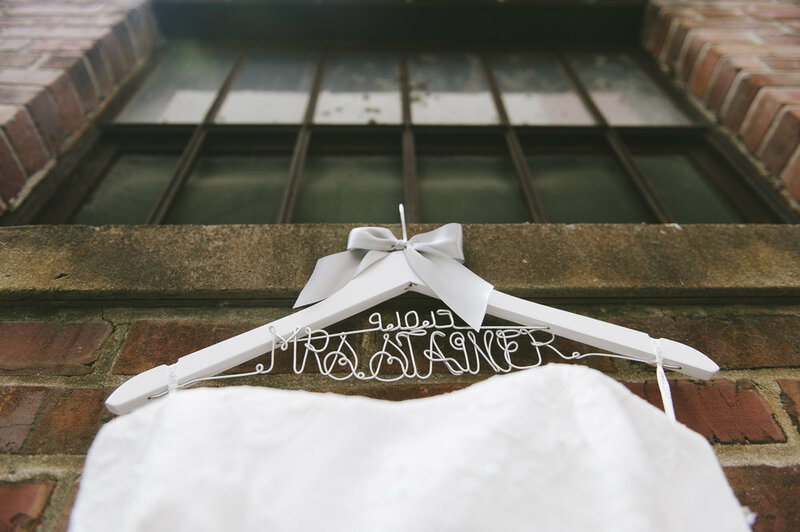 I learned very quickly that Jessica is an organized planner at heart, and you can believe that no lovely detail was left untouched! I grew up with Charlie and his sister Christy. In fact, we've known each other for as long as I can remember! After photographing Christy's wedding last year, I remember telling her that I was blown away at how perfect Charlie and Jessica were for each other! It wasn't just that they were perfect for each other. There was something about who they became when they were with each other. They became more of themselves. More settled, more content, more joyful. It was like watching two lives melt together in a seamless transition - like they had never really lived life without one another. It was effortless and beautiful. Their lives came officially together on a beautiful September day in Norfolk, Virginia and it was a wedding I've been looking forward to all year! 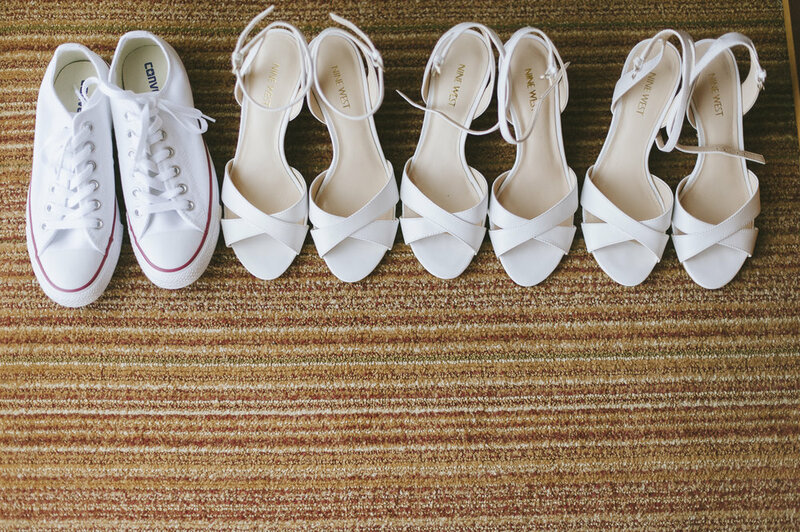 The future Mrs. Stainer had everything planned, down to her perfect white Converse shoes - a surprise for her Converse-obsessed soon-to-be-husband! 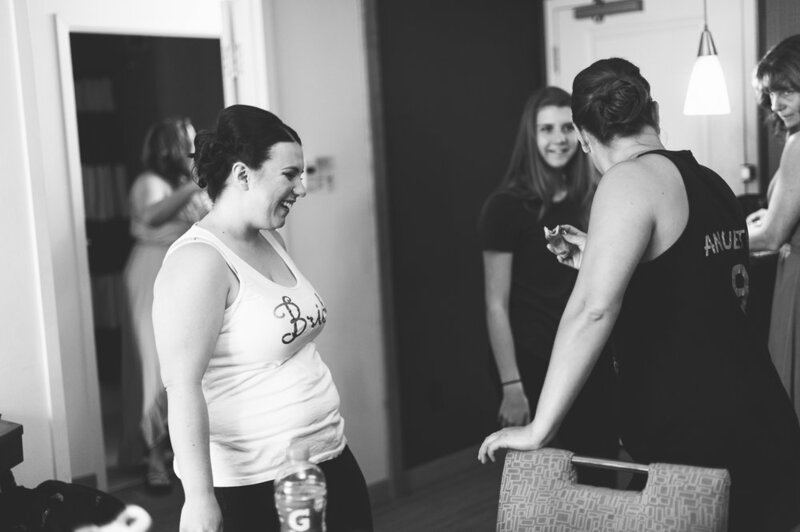 What I loved about her surprise was how she eagerly emailed me about it weeks before the wedding to tell me so I could make sure to get Charlie's reaction! I snuck Charlie into the same alleyway for photos while Jessica hid in a nearby car. He was calm but excited... and couldn't keep the boyish grin off his face that I remember so well from 20 years ago! Jessica almost forgot about her shoe surprise! After a sweet first look, I reminded Jessica that she had one more thing to show Charlie. She hiked up her dress to reveal the shoes, and Charlie's face turned to PURE JOY. I'm almost positive he giggled like a little schoolboy for 5 minutes straight. BEST GROOM EVER. Jessica and Charlie requested that we do photos in a nearby park - a place they often would go to walk and enjoy time away together. AND it was on the water!! 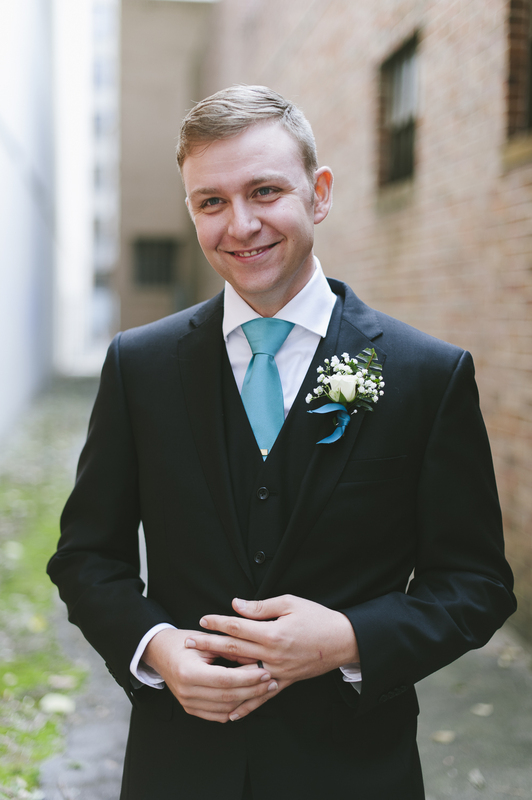 Their wedding venue was at a local brewery - full of charm and industrial flair! The tables were all unique and were decorated with different places from around the world. So fun! The ceremony was simple, personal, and so sweet that many tears were shed! One of my favorite parts of the wedding day is the rush of emotion that comes after the ceremony is done and the happy couple is finally married! It's the end of something beautiful and the beginning of something new and I love seeing all the hugs! The couple had delicious taste in food - catering their favorite burgers and donuts for their special guests!